Plagiarist attempts to steal best selling author Rachel Ann Nune’s book, “A Bid For Love”. Ya, I know. It’s been a while since I blogged. My life is wild ride right now. I’ve wanted to talk about the need for all of us to write our legislators and encourage them not to limit CCDev‘s funding so as to force a down-select to a single provider. I haven’t found the time. I wanted to talk about the Apollo 11 anniversary stuff. Didn’t find the time. I want to talk about the upcoming comet landing. I still haven’t found the time. It took a thief to call me out. 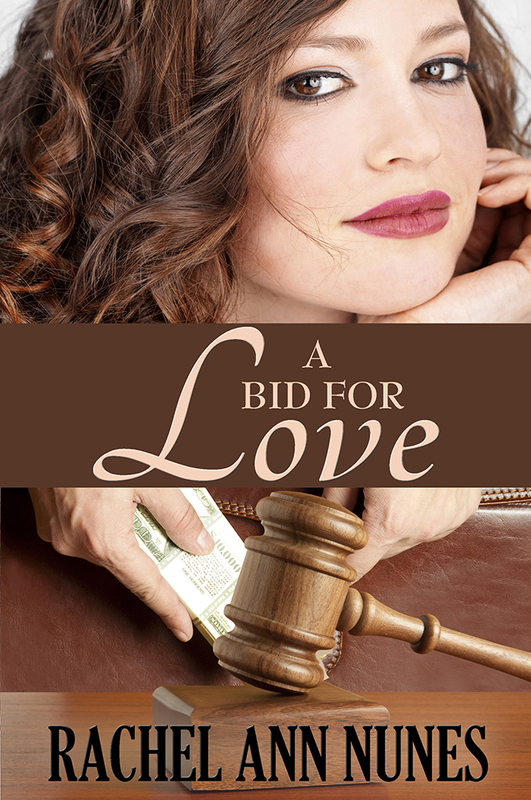 A writer I know by the name of Rachel Ann Nunes is the victim of an attempted theft of one of her books “A Bid for Love” (click here, as I write this it is a free read on Kindle). It is a clean romance novel that she published fifteen years ago. Well, someone else, acting through an untraceable pseudonym (pen name), took the book, rewrote it a little, added erotica to it, and attempted to self-publish it as their own. The Advance Reader Copies (ARCs) for this other book (one of the steps to the publishing process) went out to reviewers and one of the them recognized the content and contacted Rachel. She tried to look into it and get a copy of the ARC to see if there really was a problem and was inundated by a cascade of lies intended to muddy the waters and to try to shame her into dropping the matter. Now he or she is trying to destroy Rachel’s writing career with an online defamation campaign, again while hiding in the shadows and never revealing himself. It appears as if this person pretended, through an alias third-person, to quote Sheri Dew (a well-known and respected author and speaker among Mormon women) as denouncing Rachel’s pursuit of the truth on this matter. It appears as if this person, as third-person alias, claimed to be one of the reviewers and said that the two novels were clearly nothing alike at all, in spite of the fact that text excerpts show that they clearly may be. It appears as if this person, through a third-person alias, claims that the blame for the plagiarism lies with an unnamed man who conveniently died in a tragic car crash recently. It appears as if this person, through a third-person alias, said that Rachel is her aunt and that Rachel gave her permission to rewrite the novel and also that she gave Rachel the idea for the novel in the first place. Rachel doesn’t even have any nieces that old. It appears as if this person, through an alias, tried to convince Rachel that her inquiries ended a good person’s promising writing career. It appears as if this person, through an alias, implied that Rachel’s clean novel was somehow inferior in quality to the plagerized one because it was devoid of sexual content. It appears as if this person, through an alias, claimed that the plagiarist has a child with autism, in order to garner sympathy from Rachel and onlookers. It appears as if this person, through various aliases, has now began trashing Rachel’s books in online reviews in retaliation for her inquiries into the ARC. It appears as if this person, through an alias, has said that a lawyer says that the two novels are not worded closely enough to constitute a derivative work, when the title, plot, and some released text excerpts show that it very likely is. The plagiarist further, and again through a third-person alias, appears to have claimed that the copied work has been cancelled and will never be published. Really? Considering that this claim seems to have flowed from the same keyboard as all of the above BS I am somehow not fully convinced of this. Every layer she peels off of this onion just gets slimier and slimier. Well, court orders are able to penetrate aliases, shed light on false claims, and dig up a copies of things like ARCs to determine if this situation really does meet the legal definition of a copyright infringement, but court orders require lawyers and lawyers require money. I want the world to learn who this plagiarist is so that other authors’ hard work and investments are protected. This whole issue has long since passed my threshold of gotta-fix. I want to know the name of this liar that is gaming the book review system and putting a good person through such misery. I want what has sat hidden in the dark to be dragged, kicking and screaming, out into the sunlight. I want justice done. The measure of success for an author is a sliding scale. Most of them are not rich, not even bestselling authors like Rachel. They make most of their money the year the book is accepted for publishing, and putting out a book every year is very hard for most of us to do unless we’re making enough at it to make a living. If a person is self-published, every penny (and associated risk) for the cover-art, editing, formatting, printing and promotion comes out of the writer’s own pocket. The only time an author exceeds a middle income from their writing is if they become Rock-Star famous, which Rachel is not. Owning rights to a book is owning quite a lot of investment as far as time and potential future income. It is not very liquid…it can’t be easily turned to cash…but it still valuable property that needs to be protected from the con-artists of the world. If an artist can’t protect their work, then they could loose even what they have. Rachel has started a fund raiser on GoFundMe (click here) to gather money for lawyers. Please don’t take my word for it, because my remarks on this are all, technically, hearsay. Instead, read her blog entry (here) on the matter to get all of the specifics before contributing. Also read David Farland’s summary of the situation (click here). He is far more knowledgeable and larger (better connected…not fat 😉 ) in the publishing industry than I am, which makes him a much more authoritative central resource on the particulars. I also see that Zamanta has found a couple of other blog entries on this issue for you to read in Related Articles below. The cool thing about crown-funding is that a large number of folks can give just a small amount and combine into quite a lot. The last time I checked, folks like you and I had thrown in a total of about $3.5K. Let’s see if we can double that today. 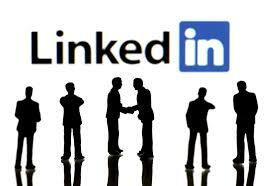 I’m triggering this blog article at the time in the week of the highest traffic on social media (Saturday mid-morning) to get the most initial hits that my small marketing footprint is able to achieve. It is also about a week after David Farland posted his article, so his remarks are probably losing steam in social media about now. They didn’t go viral. If you have a blog, and are animated by this cause, please write about it to keep the momentum of this issue moving. Please include the link to Rachel’s the Kickstarter and maybe to David’s remarks (for the same reasons that I did). If you don’t have a blog, share the kickstarter with a brief explanation and/or Rachel’s blog entry. ~ by Bill Housley on August 12, 2014.